Pavimento There are 54 products. Porcelain Floor & Wall Tiles Wood Look Bayard Natural 15x90cm. COM Quality. Price per m². Porcelain Floor & Wall Tiles Wood Look Karval Miel 15x90cm. COM Quality. Price per m². Porcelain Floor & Wall Tiles Wood Look Planet Bia Outd 15x90cm. COM Quality. Price per m². Porcelain Floor & Wall Tiles Wood Look Torvik Wengue 15x90cm. COM Quality. Price per m². Porcelain Floor & Wall Tiles Wood Look Valley Ash 15x90cm. COM Quality. Price per m². Ceramic Floor & Wall Tiles Luxor Gris 19x57cm, ECO Quality. Price per m². Porcelain Floor Tiles Madera nº 1 17x100cm, ECO Quality. Matt Finish. Price per m². Porcelain Floor Tiles Madera nº 4 17x100cm, ECO Quality. Matt Finish. Price per m². Porcelain Floor Tiles Madera nº 5 17x100cm, ECO Quality. Matt Finish. Price per m². Porcelain Floor Tiles Madera nº 7 17x100cm, ECO Quality. Matt Finish. Available stock: 10m² Price per m² for the whole stock. Porcelain floor tiles Malibu Mix 60X60cm, ECO quality. Matt finish. Price per m². 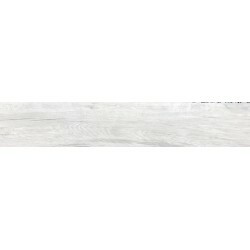 Matt Porcelain Floor & Wall Tiles Wood Look Blanco 15x78,5cm, ECO Quality. Available stock: 13m² Price per m² for the whole stock. Porcelain Floor & Wall Tiles Wood Look Bayard Blanco 15x90cm. COM Quality. Price per m². Porcelain Floor & Wall Tiles Wood Look Distric Cognal 15x90cm. COM Quality. Price per m². Porcelain Floor & Wall Tiles Wood Look Karval Caoba 15x90cm. COM Quality. Price per m². Porcelain Floor & Wall Tiles Wood Look Karval Gris 23x120cm. COM Quality. Price per m². Porcelain Floor & Wall Tiles Wood Look LILA PLATINUM 15x90cm. COM Quality. Price per m². Porcelain Floor & Wall Tiles Wood Look Lucia Wallnutt 15x90cm. COM Quality. Price per m². Porcelain Floor & Wall Tiles Wood Look Om Mad 15x90cm. COM Quality. Price per m². Porcelain Floor & Wall Tiles Wood Look Rainwood Sunrise 15x90cm. COM Quality. Price per m². 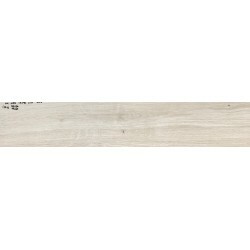 Ceramic Floor & Wall Tiles Wood Look Alpe Gris 19x77cm, ECO Quality. Price per m².